What was Maria & George Mihailovich's marriage like? I read her book "A Romanov diary" and it really doesn't go into much detail about their marriage but I heard it wasn't a happy one? George apparently pursued her for years but she was a die-hard Greek and reluctant to leave Greece. She was finally persuaded and the two became engaged but I think she dragged her feet then too. When they finally married and she moved to Russia she wasn't too happy and was desperately homesick. While she had two daughters she and her husband grew further apart. When one of the girls needed to go to England for health reasons Marie pounced on the opportunity to not have to live in Russia. Because of this she was in England throughout WW1 and the Russian Revolution. She was fond of her husband though and when he was arrested she did her utmost (including giving QM a letter to personally deliver to President Wilson) to secure his freedom. Maria was a very pro-Greek princess. When her tutors told her as a girl that there was not a drop of Greek blood in her veins she was inconsolably sad. 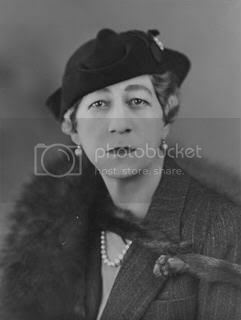 Of a very strong personality but not as pretty as her surviving sister Alexandra, Maria was pursued by her second cousin George Mikhailovich of Russia (his father and her mother were first cousins) for about four years. He proposed as much as twice a year but she kept rejecting him each time, till one day he was persuaded to travel to Athens and officially propose, possibly thanks to Queen Olga's meddling affairs. By then Maria ahd left it quite clear to her parents that she desired to stay in Greece and marry a Greek (this was, obviously, impossible since there were no Greek Royals at the time except her brothers, parents and nephews). 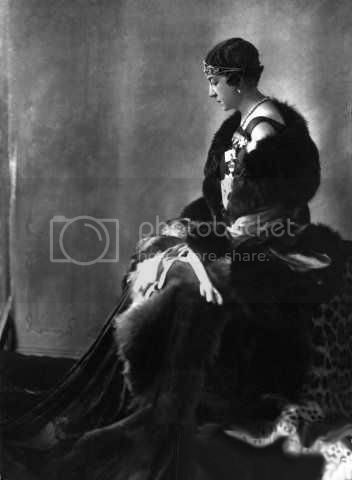 When she duly accepted, Queen Olga announced the betrothal and had the ceremony take place twelve days later (so as to avoid the bride changing her mind). Maria was grateful to be married in Greece, far away from the pomp and glamour of the Russian court, and did not wear an expensive nor a heavy wedding dress. Her favourite piece of her trousseau was the crown, done with velvet, diamonds and a small cross, which had to be disassembled the following day, which vexed her a lot. Her married life was not happy. She and her husband failed to produce a large family and they had two daughters, Nina and Ksenia, in 1901 and 1903 respectively. Soon after Maria started to travel around Europe, usually taking the girls with her. In 1914 she parted from her husband, not knowing it would be the last time they would see each other. George wasn't handsome (he was bold by the time of their wedding), but he had at least sought a royal bride, unlike some of his siblings, who either kept (male and female) lovers or took an unequal spouse. Maria and her children were in London when WWI broke out and she was forced to watch her budget since her money came from Russia. She liked to entertain guests and sewed marvelously. In 1917, when the Revolution put an end to her family-in-law's throne, she found herself in great finacial difficulty. 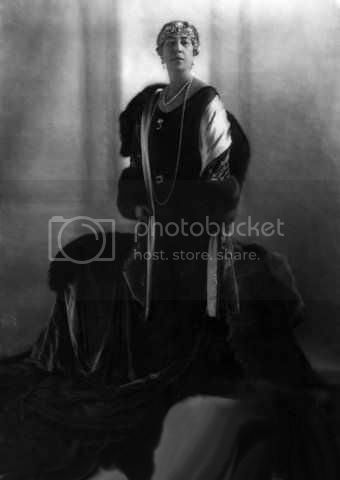 Not long after news reached her that her husband had been shot in Saint Petersburg in january 1919. Maria did not mourn for long, but her daughters disliked her for having asked her dead husband to leave their palace in Mikhailovskoye (near Peterhof), after which he was captured. had he not, the girls thought, he would have survived. Her favourite place in Russia was her residence in Harax, in the Crimean coast, which was an English-style villa with reminded her of her native Greece. When she retrned to Greece she met aboard her ship Pericles Johannidis, who had been in prison for having supported her brother Constantine several years back. 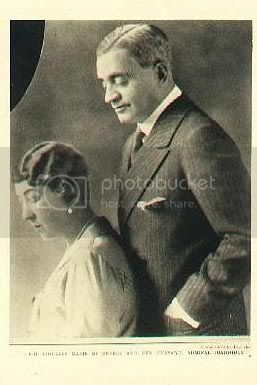 She married him in 1922, and although the marriage was not always happy, it was prosperous. they ahd no children. He survived her by several years, dying in 1965. Her daughters, particularly Xenia, had diserted her very young to get married and escape Maria's odd personality. Xenia's marriage ended in divorce, while Nina became the mother of a well know Prince-writer. As with the post involving Elizabeth of Greece, I am wondering if Marie kept her "Royal Highness" after her marriage to Periclides Ioannidis. Yes...I think she did. Remember she was of the old school. Also I heard the marriage was not happy. But Minny stayed with him till the end. True, she was, but I seem to recall reading that the Greek Royals were not happy about the marriage. Possibly because he didn't have a huge fortune to bring to the Family as did Nancy Leeds. Yes, apparently he had several mistresses, and was known to give some of Minny's Fabrege treasures from Russia to these women as love tokens!! But Minny get on with her life until the end unlike Ducky who went self destruct after the discovery. Really! Where did you read that? I'm not doubting just that info on Minny is so hard to find.